Combine quality and elegant design with a unique clear black glass vessel from Novatto. As an industry leader in glass vessels, Novatto uses advanced technology to produce beautiful glass vessel sinks with unmatched structural integrity and longevity. 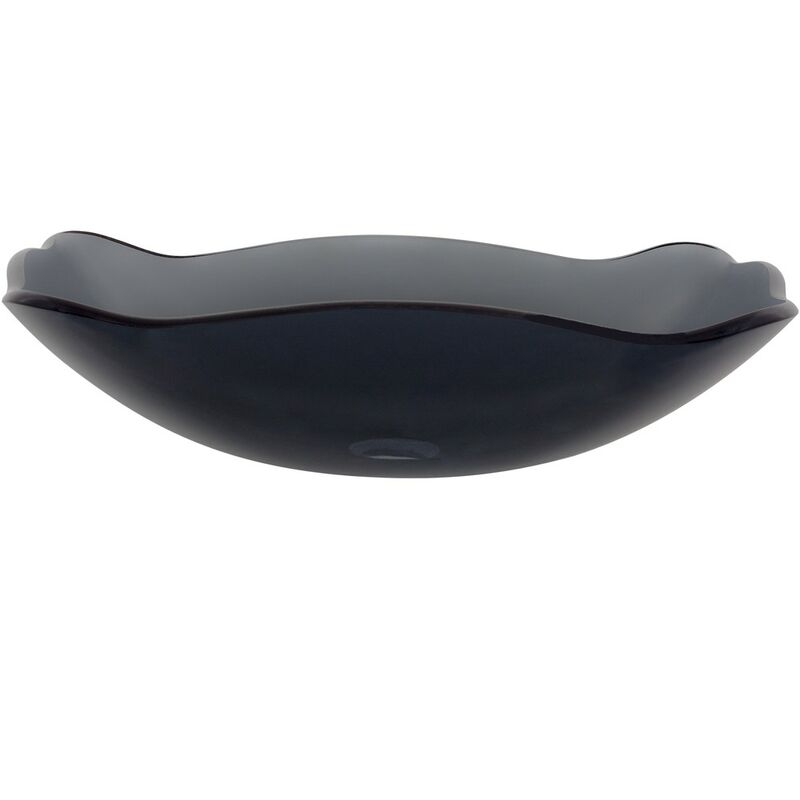 Constructed of thick 1/2 inch clear black high tempered glass, this clear black vessel sink has a look of classic understated elegance which will work well with any counter and decor. Tempered glass cannot be compared to everyday synthetic porcelain and ceramics. Internal testing has found these vessels to be very durable and forgiving. Items such as toothbrushes or small jewelry should not scratch the surface. Made with the highest standards of quality and creative design, Novatto sinks add art and function to any bath or powder room. Standard 1.75-inch drain opening. Suggested Novatto pop-up drains: PUD-ORB (oil rubbed bronze), PUD-BN (brushed nickel), PUD-CH (chrome). Suggested matching Novatto mounting rings: MR-001ORB (oil rubbed bronze), MR-001BN (brushed nickel), MR-001CH (chrome). For best cleaning results, a soft cloth with mild soap and water or a non-abrasive glass cleaner is recommended. Just add water and enjoy Novatto's Limited Lifetime Warranty. Supreme packaging and boxing ensure damage-free delivery. Novatto's customer service is always here to answer any additional technical product questions or help you choose a matching faucet at 844.404.4242 or productsupport@novattoinc.com.